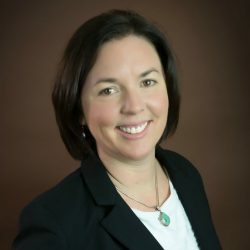 Jill Filene has more than 15 years of experience in applied research, program evaluation, and technical assistance. Her areas of expertise include home visiting, child welfare, child development, prevention services, and implementation research. Filene is the project director for the National Home Visiting Resource Center and the Design Options for Home Visiting Evaluation project. She also helped develop national evaluation design options for the Mother and Infant Home Visiting Program Evaluation (MIHOPE). As part of the management team on both MIHOPE and MIHOPE-Strong Start, Filene contributes to the development of research methodologies, data collection, and site recruitment. She serves on the leadership team of the Home Visiting Applied Research Collaborative. Filene conducted two meta-analyses, Meta-Analytic Review of Components Associated With Home Visitation Programs and Parent Training Meta-Analysis Update and Extension. She directed the National Cross-Site Evaluation of the Replication of Demonstrated Effective Prevention Programs and the Implementation Evaluation of Palm Beach County’s Nurse Family Partnership Program. Prior to joining JBA, Filene was a research fellow for the Centers for Disease Control (now known as the Centers for Disease Control and Prevention). There, she worked on replication studies and a meta-analysis of parent training programs, and she provided evaluation technical support on statewide effectiveness trials of child maltreatment prevention programs. Filene earned an M.P.H. from the University of North Carolina at Chapel Hill.